Have you read Blue Zone by Dan Buettner? Well now Buettner has come out with another tome devoted more to the diet of people who live the longest and one of his assertions is that women who eat sweet potatoes are healthier and live longer than those who do not. 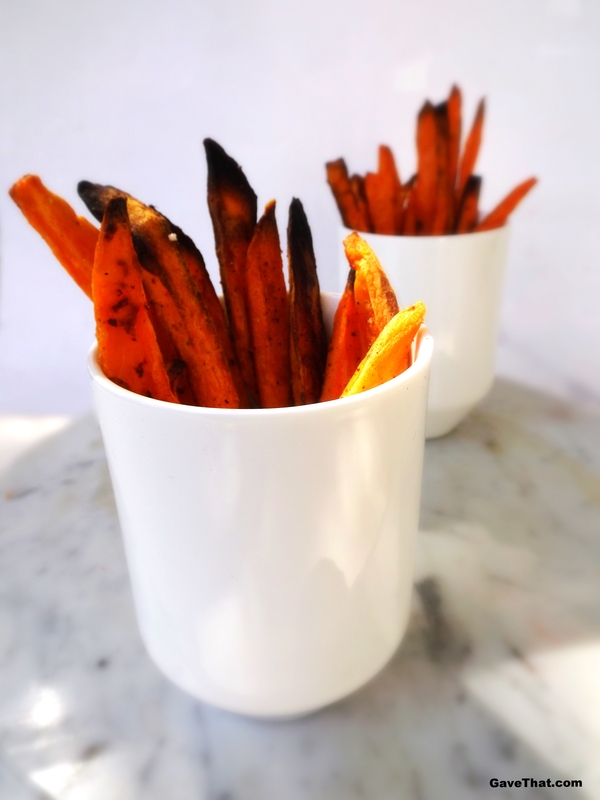 Wounder if these tangy sweet potato fries would count? 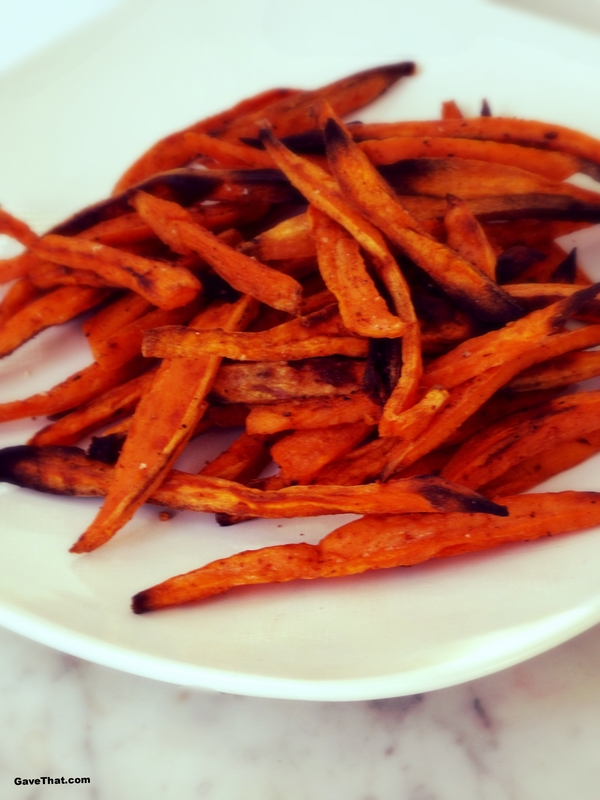 Oven baked sweet potato fries seasoned with chili, lime and garlic has become a favorite bring-along BBQ side. The secret tip to having your fries stay plump, soft in the middle yet crispy on the outside along with cutting down on baking time is to parboil first. Preheat your oven to 350° f.The secret step: Bring a large pot of water with 1/2 teaspoon of salt added to a rolling boil. 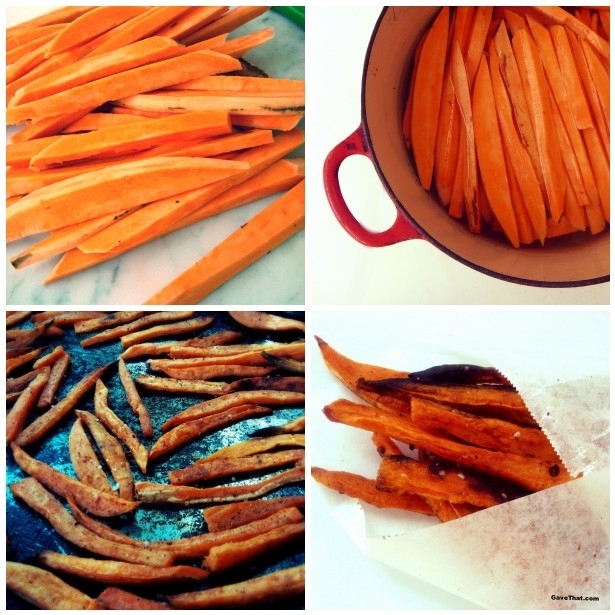 Parboiling baked french fries, especially sweet potatoes which are notoriously hard, helps them cook faster without burning on the outside. It also removes a lot of the starch from the potatoes, helping to prevent them from sticking to the pan. 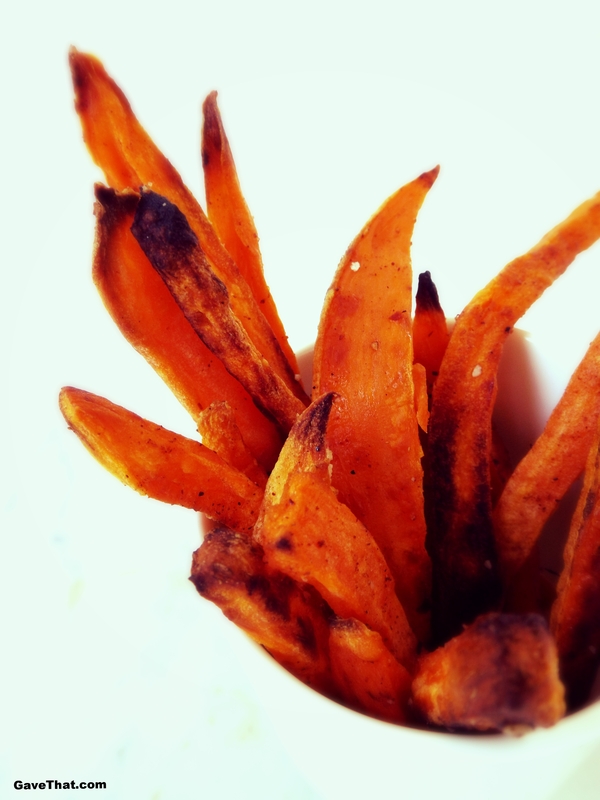 It really makes a world of difference when making baked fries.Cut sweet potatoes into steak or shoestring fries and add them to the boiling water. As soon as tiny bubbles appear remove and drain the sweet potatoes. 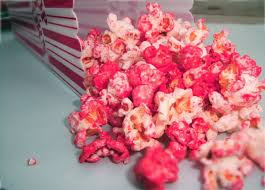 They should still seem crisp. Coat a pan with the coconut oil and spread the sweet potatoes out in a single layer. Pop into the oven for 35 minutes. About half way through, at around the 10 minute mark, turn the fries over and allow to continue baking.After the 35 minutes they should feel soft inside and done but to further crisp and brown them, turn your oven up to 450° f degrees and allow to bake for an additional 15 minutes. Steak fries might take a tad longer.